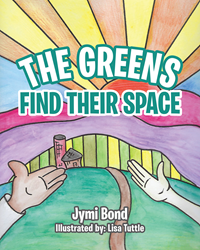 Jymi Bond’s new book “The Greens Find Their Space” is a delightful story about farm expansion through planting new crops and the lives of farmers Ken and Kelly. Recent release “The Greens Find Their Space” from Page Publishing author Jymi Bond is a page-turner book about the importance of each vegetable in farmers Ken and Kelly’s farmland—all kinds of crops has a significant role in its success. Jymi Bond, a psychotherapist who has an extensive background in healthcare and has been dedicated in volunteering for youth organizations and projects, has completed his new book “The Greens Find Their Space”: a creative short story about the lives of farmers Ken and Kelly, their journey of planning to expand their farm with new crops, and the interaction of the old and the new vegetables in the land. Author Bond adds dialogue between the old and the new crops to teach readers that everyone has a specific purpose for the good: “Then came the day the greens made their way above ground. Corn from the beginning, was curious about the new neighbor. Published by New York City-based Page Publishing, Jymi Bond’s heartwarming story sends a message that no one is worthless. Each one also has a purpose, and helping one another leads to accomplishing great things due to collective effort. Readers who wish to experience this creative work can purchase“The Greens Find Their Space” at bookstores everywhere, or online at the Apple iTunes store, Amazon, Google Play, Kobo or Barnes and Noble.